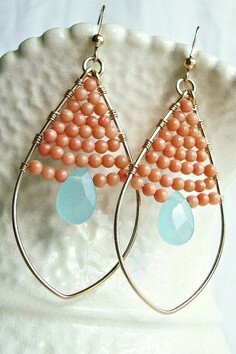 Looking for some teal and coral outfit ideas? You’ve come to the right place! 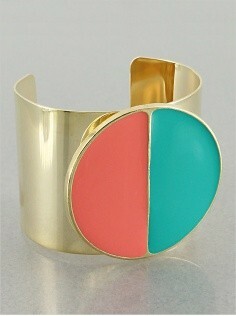 My latest fashion obsession, which you kind of see everywhere right now, is combining coral and teal together. My daughter and I had a little fun with this trend at a recent party we went to. 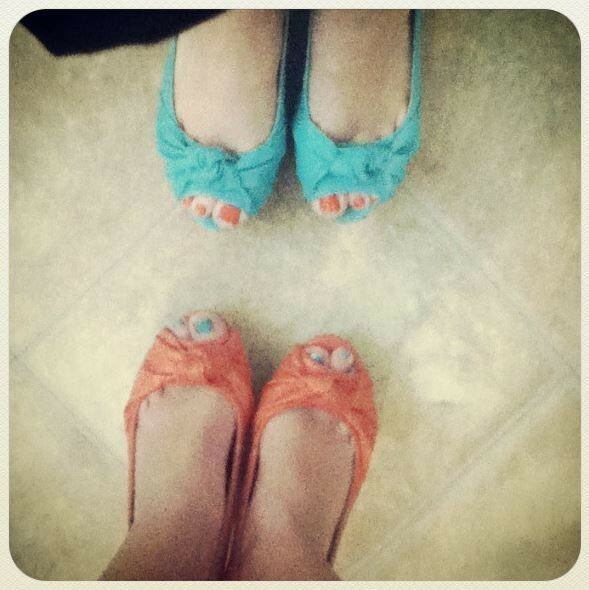 I wore teal wedges, she wore coral. I painted my toes and fingernails coral, she painted her teal. Here’s a picture we took of our feet, because why not, right? Have you tried this color combining trend? 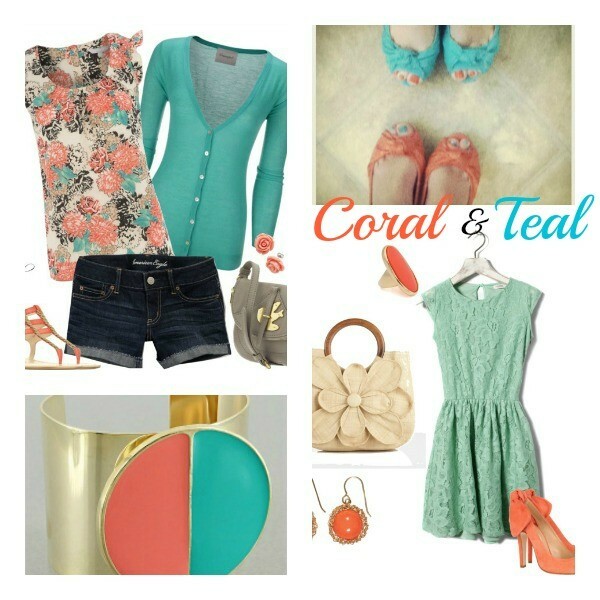 Here’s some inspiration for you with some teal and coral outfit ideas and jewelry. Beautiful color combination isn’t it? It also looks fabulous as colors for nail art, home decor, wedding theme and food – such as for cupcakes and cakes.